Our thanks to the now defunct Nonprofit Energy Savings Investment Program for some of the following information. We also included some information from our article in the October 1988 issue of Construction Specifier magazine. Congregations that serve their communities can feel compromised by owning and operating facilities that demand high payments for electricity and fuel. 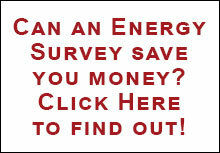 More dollars for energy mean fewer dollars for service. Many lessons can be learned from older religious buildings. The annual energy cost per square foot of floor area is less in older buildings than in newer ones, mostly because the energy systems in newer buildings require more electricity for air conditioning. Very old buildings come from the era before natural gas, fuel oil and even electricity. They usually have large steam boilers, natural lighting and natural ventilation. Newer religious buildings have less mass, less natural structural material, hot water heating, air conditioning and mechanical ventilation. Fossil fuel costs may go up and down temporarily, but they will inevitably increase, at increasing rates. Tight and humid buildings are more likely to have problems with mold and mildew. Growing Asian economies and wars in which the US is involved can increase the cost and decrease the availability of building materials. Control systems are becoming more complicated with digital components, wireless communication and user-unfriendly interfaces. Efficient lighting reduces the size of air conditioning equipment because lower wattage lamps and ballasts produce less heat during the cooling season. Increasing the insulation level and the quality of windows reduces the initial size and lifetime energy use of both heating and air conditioning equipment. This Entire Article is 25 pages long. The manufacturers of gas-fired, unvented, ceramic panel infrared heaters advertise that fuel costs are 20% to 50% less with their systems in comparison with forced air heating systems. Several churches in the Philadelphia area have installed these systems. The manufacturers claim that their infrared heaters do not heat the air, as other heaters do, but rather they directly heat objects and people, similar to the sun’s heating the earth. They claim that the units provide equal comfort at lower thermostat settings, that there is less air movement and associated dust, and that there is less stratification of air in the heated space.